Today I share the second paper of guest, Geoffrey Norris Ph.D. 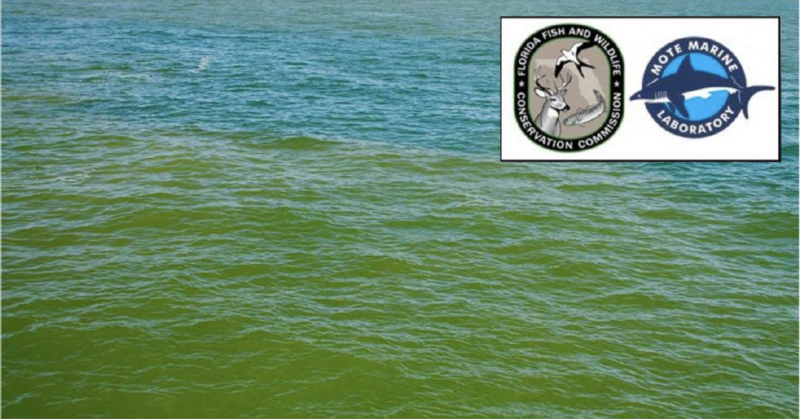 I recently shared Blue-green algal blooms in the lakes, rivers, and marine waters of south Florida surrounding Lake Okeechobee. I must admit, I hesitated publishing this second paper, “Sugarcane and Indians,” as I am sure some may interpret it as “politically incorrect.” I apologize to anyone who may, but I decided to print Dr Norris’ paper because the main message is important. You will learn something about this in Dr Norris’ paper below, and I thank him for sharing his work. In closing, I believe we have something important to learn from history and the Native People of North America; I admire them. They are great warriors and respect Nature, the gift of our Creator. And in the case of the Miccosukee, they “never surrendered” and if I have anything to do with it, neither will we. ..”In the 1960s, I lived and worked as a petroleum exploration geologist in Tulsa, Oklahoma. Subsequently, I spent almost 40 years at the University of Toronto in teaching and research in geology…A geologist by training, I have a specialized knowledge of fossil algae, their ecology, morphology, and distribution. I have published hundreds of scientific papers on fossil algae and related topics.” ~Geoffrey Norris Ph.D. The area around Lake Okeechobee accounts for almost half the total production of sugarcane in the United States. Sugarcane in south Florida is very needy of phosphorus and potassium fertilizers, but nitrogen fixed in the muck soils largely eliminates the need for extra nitrogen fertilizers. Sugarcane also demands the use of the phosphorus-rich herbicide “Roundup” (glyphosate) several times each year. Firstly, in the fallow season (approximately May-September) to control weeds and allow the sugarcane underground rhizomes to regenerate. Secondly, as the new shoots come through in the Fall to continue weed control. Thirdly, during maturation and harvesting (October through March) glyphosate is applied to “chemically ripen” the sugarcane and improve sugar yields. Land south of Lake Okeechobee could be used for storage and bio-cleansing of excess lake water. 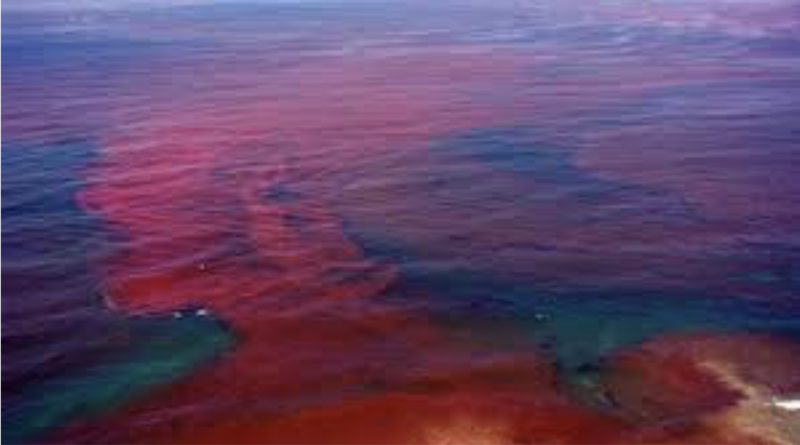 However, the 1997 water quality agreement between the Environmental Protection Agency and the Miccosukee Indians (aka Mikasuki, Miccosuki) states that phosphorus shall not be present in quantities greater than 10 parts per billion, and that no substance shall be present to stimulate algal growth and produce objectionable algal densities in the 300,000 acres of tribal lands in the Everglades south of Alligator Alley. This legal agreement would suggest that Lake Okeechobee waters destined for southern storage must be cleaned to rigorous standards before discharge into southward flowing streams feeding the Everglades, at least near the Miccosukee tribal lands. A case could be made for the sugar industry and related agriculture to “clean up its act” to mitigate the effects of heavy fertilizer and herbicide usage on the environment in general and on lake and stream waters in particular. First about nutrients and farm land and how much is planted in sugarcane. A couple of years ago I had the opportunity the fly over the area south of Lake Okeechobee in a light plane at about 1000ft altitude. The extent of the sugarcane is truly mind-boggling. Its plantations surround the entire southern perimeter of the Lake and reach to the horizon. Smaller plantations occur elsewhere around the Lake. It is a very big operation. Firstly, during the fallow season (approx. May-September 2016) following harvesting, glyphosate is applied to control weeds which would otherwise grow up and choke out the underground cane sugar rhizomes left in the ground to regenerate as the next crop. Secondly, glyphosate application continues in different amounts as the new shoots come through in the Fall. This is tricky because glyphosate kills just about anything that is green, but careful control can kill the young weeds while not harming – at least not very much – the young sugarcane shoots. Other herbicides are also involved but glyphosate is the big one. Thirdly, the sugarcane matures and is harvested in the winter months at various times from October through March. During this time the stem of the sugarcane ripens and becomes rich in sugar (sucrose) prior to going to the mill. Astonishingly (to me anyway) it has been found that about a month or two prior to harvesting, another application of glyphosate will help ripen and enrich the crop with significantly more sugar. This process is called “chemical ripening”. Other chemicals can be involved but glyphosate is a popular choice (it got cheaper once Monsanto’s patent expired in the year 2000). So yes, I think cane sugar farming is being pursued intensively, but I’m not sure how it can be stopped. Its effects on Lake O could be mitigated as discussed in my previous document but stopping an entire industry would be almost impossible to my mind. Cleaning up the sugar industry might be a more realistic aim. Change of land usage and water flow. For thousands of years, water drained from Lake O through a wide series of shallow tributaries and interconnected lakes to the Everglades. It’s unlikely that this could be recreated but certainly use of land south of the Lake for water transport and storage and bio-cleansing of some sort or another would be an improvement. However, it would seem that this is unlikely given the actions of the U.S. Environmental Protection Agency and its agreement in 1997 re the Clean Water Act with the Miccosukee Indians, a tribe which occupies part of the Everglades. The following minimum water quality criteria shall apply to all surface waters of the Miccosukee Tribe of Indians of Florida unless those water bodies are designated with higher or stricter water quality standards. Stricter standards for a given water body shall supersede these general Water Quality Standards. These standards shall provide a legal basis for including whole effluent toxicity requirements in all federally issued permits. E. NUISANCE CONDITIONS: Plant nutrients or other substances stimulating algal growth, from other than natural causes, shall not be present in concentrations that produce objectionable algal densities or nuisance aquatic vegetation, or that result in a dominance of nuisance species instream, or that cause nuisance conditions in any other fashion. Phosphorus and nitrogen concentrations shall not be permitted to reach levels which result in man-induced eutrophication problems. Total phosphorus shall not exceed 10 parts per billion in Class III-A waters. In Class III-B waters, total phosphorous discharges shall not be made which result in undesirable aquatic life effects or which result in chronic or acute toxicity to aquatic life. N. NUTRIENTS: In no case shall nutrient concentrations of Tribal Class I or Class III-A surface waters be altered so as to cause an imbalance in natural populations of aquatic flora or fauna. Total phosphorus concentrations shall not exceed 10 parts per billion in Class III-A waters. In Class III-B waters, nutrients shall not be discharged which result in undesirable aquatic life effects or which result in chronic or acute toxicity to aquatic life. So what this and other sections of agreement mean is that nutrient-rich water from Lake Okeechobee must be cleaned to rigorous standards before discharge into southward flowing streams feeding the Everglades. So bio-cleansing within the Everglades – or at least near the Miccosukee tribal lands (about 300,000 acres in the vicinity of the Tamiami Trail and Alligator Alley) is not a possibility within this legal framework. However what’s good for the goose is surely good for the gander. I looked into the history of the Miccosukee Indians, and it would seem they are only fairly recent arrivals in Florida, arriving about the same time as Stuart was being settled. The Miccosukee appear to have originated in what is now Georgia and then migrated south to north Florida where they became entwined with the Seminoles. After the Seminole wars of the 19th century they migrated to central Florida in the late 1800’s and then decided to disentwine themselves from the Seminoles as a culturally distinct society. They appear to have seen an opportunity during the construction of the Tamiami Trail in the first quarter of the 20th century and migrated further south and became embedded in the adjacent Everglades. First Florida (1957) then federally (1962) they became recognized as a tribe distinct from the Seminoles. Meanwhile in th early 20th century, as the migrant Miccosuki Indians were settling down in their new home in the Everglades as “Trail Indians”, Stuart was incorporated as a town (1914) then a city (1925) after being settled by migrant northerners about half a century earlier. Total population of Stuart is now about 16,000. 640 migrant Indians – how many are fishing and frogging? 16,000 migrant non-Indian northerners – how many lives and livings are being disrupted by ruined beaches and waterfronts? the Indians pushed for a great deal from EPA and got it. So now a total of about 640 Miccosukee (Mikasuki) Indians (some now living in Miami-Dade and not the Everglades) can pursue their supposedly traditional way of life (fishing, frogging, subsistence agriculture) plus gaming resorts and casinos and tobacco shops – while many of the 151,000 citizens of Martin County are prevented from pursuing their traditional way of life. Surely our waters (habitat, recreational, drinking) should be subject to the same rigorous standards as laid down by the EPA/Clean Water Act for the people living in the Everglades. We are all equal – as George Orwell said – but some are more equal than others. Well, so it seems. What do you think?